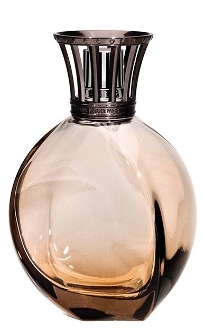 This Lampe Berger fragrance diffuser creates a soft and elegant atmosphere. A glass bottle in a warm, subtly shaded colour to retain the natural lustre of the glass. Accompanied with an ultra-feminine pearl mounting.